Meet Corra at eTail West in Palm Springs! The Corra team is gearing up for this year’s eTail West conference! Held February 22-25 at the JW Marriott in Palm Springs, we’re excited as always to be a part of this great event. eTail West is an annual conference that brings together retail and ecommerce leaders and innovators from around the world for four days of cutting-edge content and networking opportunities. With topics ranging from email marketing and search, to UX and design, to merchandising and mobile, eTail West offers something for everyone looking to learn, find inspiration, and discover lasting business solutions. We hope that those of you attending this fantastic conference will take the time to find us on the trade show floor. Corra will be at Booth 717. Stop by, meet our team, and find out more about our design, delivery and technology services! Ask us about the invite-only party we’ll be hosting at a classic mid-century Palm Springs house on Feb. 23rd. Email [email protected]! 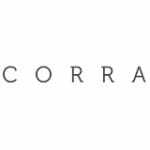 Corra is a New York, Los Angeles and London based digital commerce agency creating unified commerce experiences for fashion, lifestyle and beauty. With a team of 100+ ecommerce strategy, design and technology professionals, Corra delivers rich shopping and buying experiences across all channels and devices. Corra is trusted by retailers of all sizes to implement and support the Magento Enterprise, Demandware and hybris platforms.